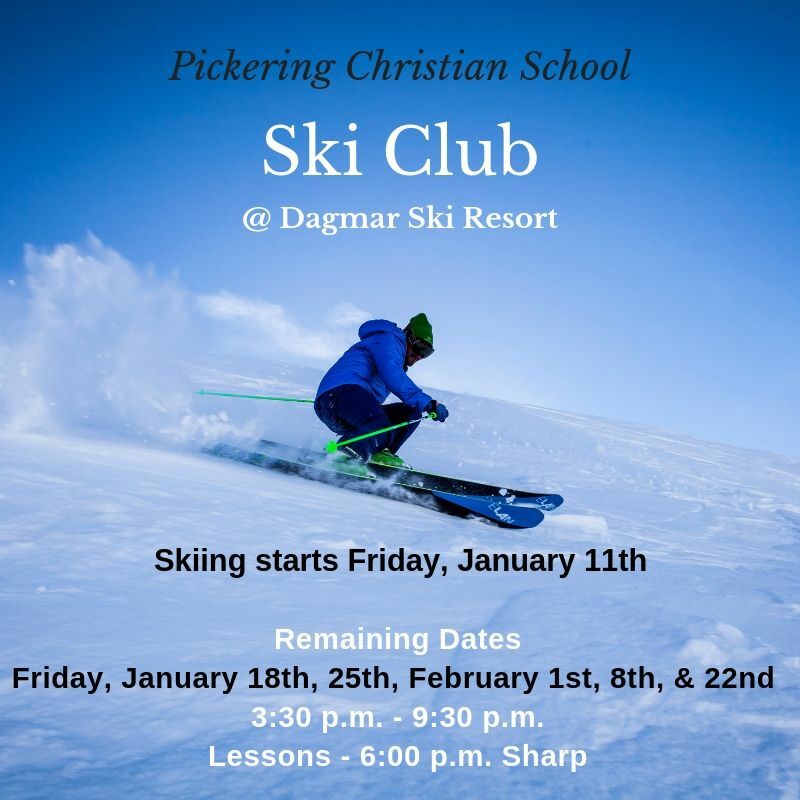 We are looking forward to another great year of Pickering Christian School’s Ski and Snowboarding Club. This year we have decided to do our lessons at Dagmar Ski Resort, 1220 Lakeridge Rd., Uxbridge ON. Starts Jan 11th (Start Time is 3:30pm) - Lessons start at 6:00pm. Please arrive thirty minutes prior to your lesson in order to pick up your lift ticket and rentals in a timely manner. Look for Mrs. Dellandrea or Mrs. Holt to get your lift tickets. Please be advised Mrs. Holt and Mrs. Dellandrea will try to be there as soon as possible but will most likely arrive closer to 4:00pm. If anyone that has signed up is unavailable to come on a given week you should notify either Mrs. Holt at 289-385-1031 or Mrs. Dellandrea at 416-414-3056 as soon as possible before the Friday evening.